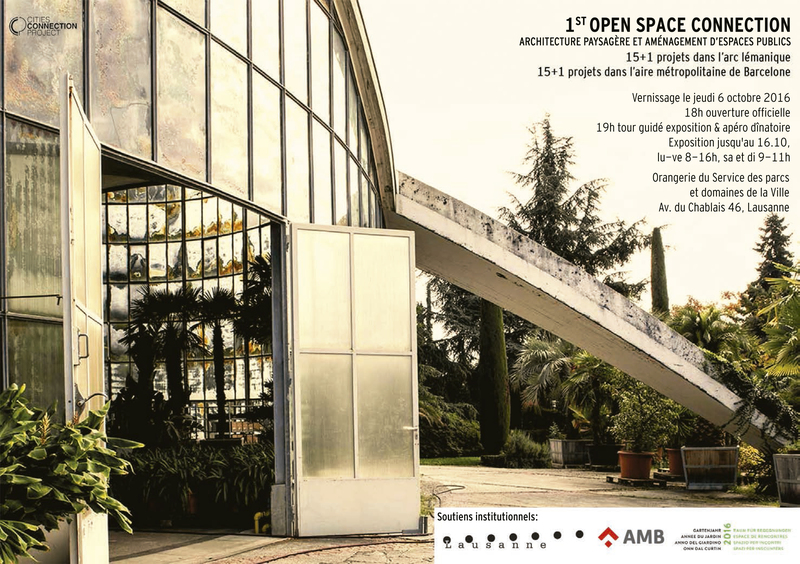 On October 6th at 18h, vernissage in Lausanne of the first “Open Space Connection”. An exhibition of public space projects from the Metropolitan Area of Barcelona and the Lemanic Arc region curated by Cities Connection Project. Through the exhibition “Open Space Connection” and the conference “Quels jardins pour la ville d’aujourd’hui?” The City of Lausanne wishes to raise awareness, explore, reflect on the role, uses and in the design of open spaces in the city. These two events fall within the framework of the « Année du Jardin 2016 – Espaces de rencontre » and fulfill one of the objectives of the national campaign launched abroad on the meaning, the use and preservation of spaces free in urban Switzerland.